How goes it? I hope all is going well with you. It honestly seems like slowly but surely day by day it's just getting colder. I'm not at all prepared with how cold it could potentially get or the amount of snow that we may or may not end up getting lol. 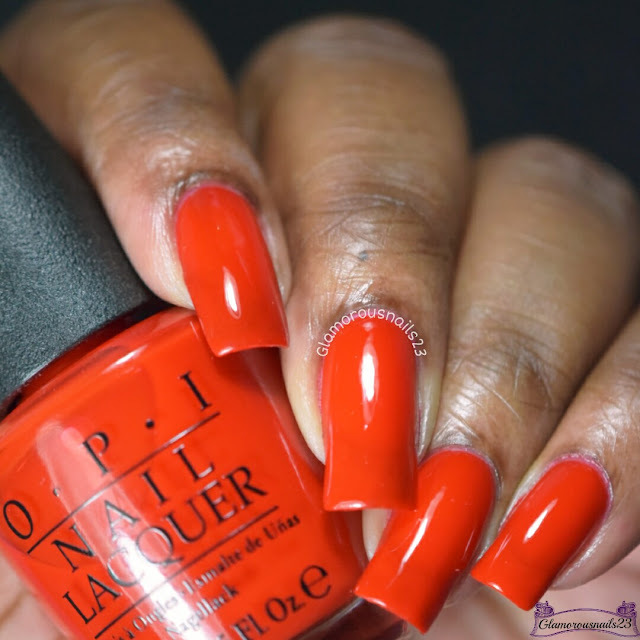 Well today I'll be sharing this lovely bright red polish by +OPI Products with you. Keep reading for more! 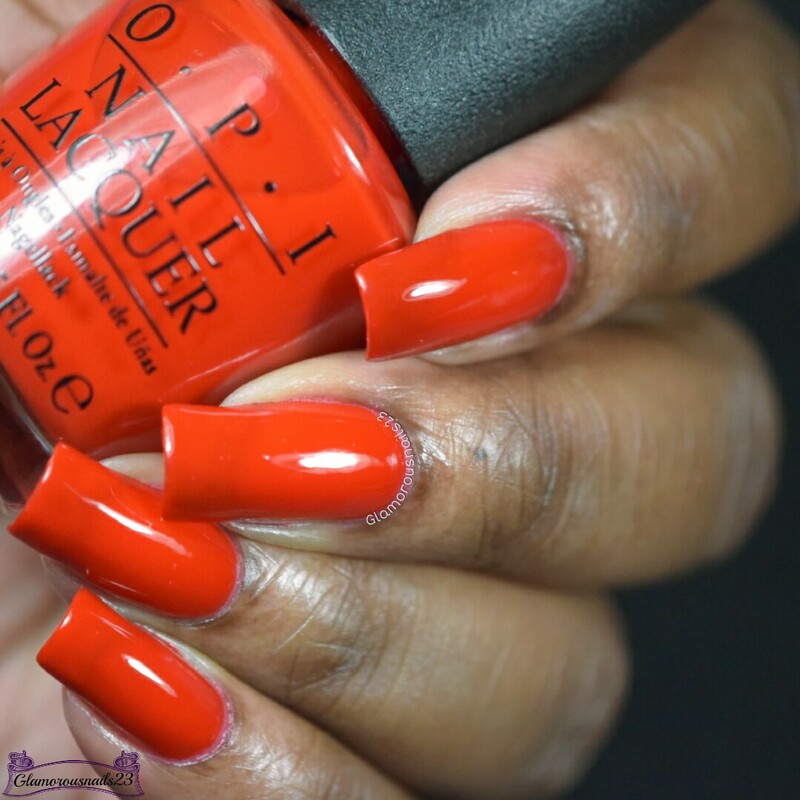 Fashion A Bow is an orange toned red jelly polish from the Gwen Stefani Holiday 2014 Collection. 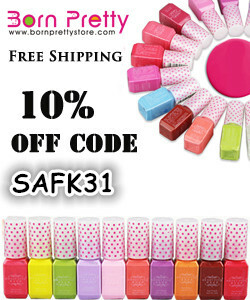 The formula was smooth with a sheer application which is usually expected with jelly polishes and had good coverage. Fashion A Bow had a good drying time and built nicely. I still had some slight vnl after three coats which I didn't mind. I actually like this red a lot more than I thought I would. Shown is three thin coats with a glossy top coat. Do you own Fashion A Bow? 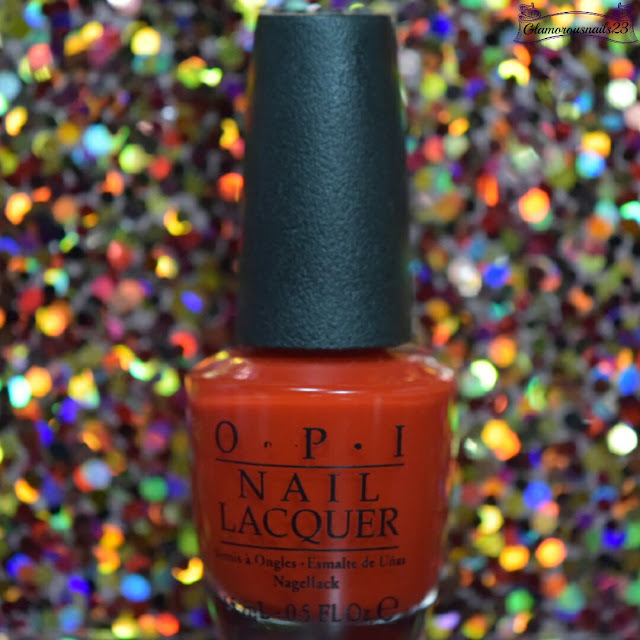 Did you pick up any polish from the Gwen Stefani Holiday 2014 Collection? Is this a red that you would wear? Thanks for stopping by! This is really pretty! It looks orange though. Maybe more of a tomato red. Who cares...either way it is beautiful and I'm ashamed I don't have this one in my collection. This is a very warm red. On my screen, it looks quite orange. I remember picking up the mini set from this collection. You make me want to wear a warm creme! 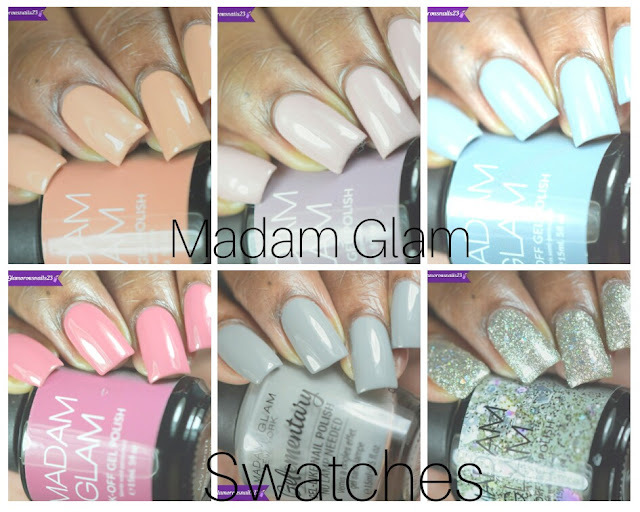 This is why I always like to look at multiple swatches online before I purchase a polish lol.